Collusion-free protocols prevent subliminal communication (i.e., covert channels) between parties running the protocol. In the standard communication model, if one-way functions exist, then protocols satisfying any reasonable degree of privacy cannot be collusion-free. 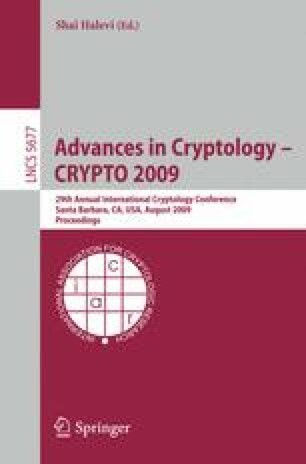 To circumvent this impossibility, Alwen, shelat and Visconti (CRYPTO 2008) recently suggested the mediated model where all communication passes through a mediator. The goal is to design protocols where collusion-freeness is guaranteed as long as the mediator is honest, while standard security guarantees hold if the mediator is dishonest. In this model, they gave constructions of collusion-free protocols for commitments and zero-knowledge proofs in the two-party setting. We strengthen the definition of Alwen et al., and resolve the main open questions in this area by showing a collusion-free protocol (in the mediated model) for computing any multi-party functionality.